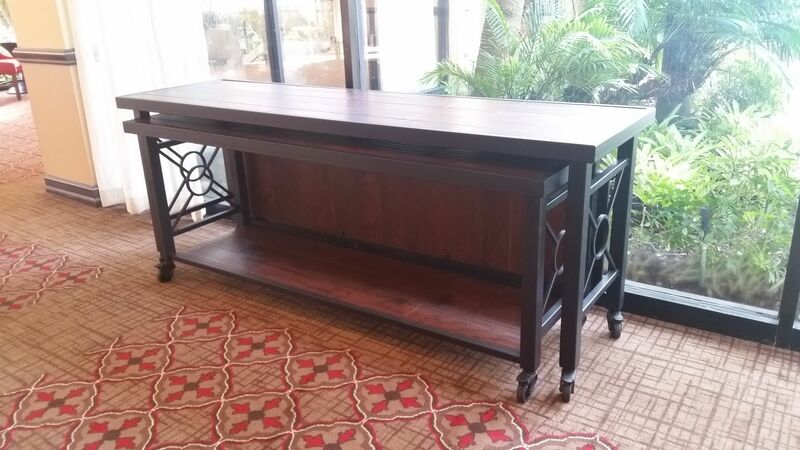 These tables were designed for PGA National Golf Club. Our task was to design custom tables for banquets which would neatly nest one under the other. 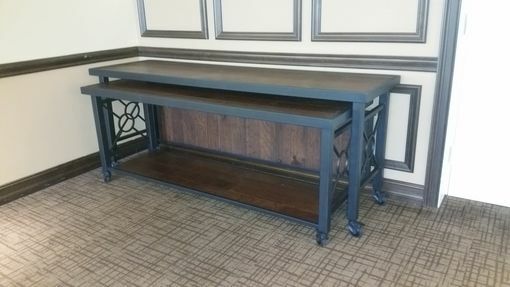 The tables are made of steel with wrought iron features in the design. 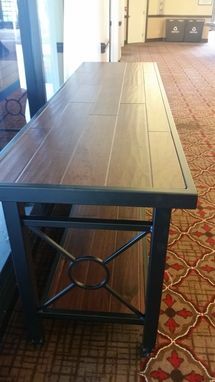 The table top and lower shelf is made of beautiful dark hickory. The wood features are 100% wood and not composite. The lower shelf of the larger table will fold up and lock allowing the lower table to slide under. 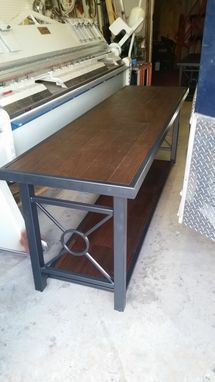 The tables roll on black locking swivel casters. This table can be offered with glass or natural stone. Modifications to the design and dimesions are also available.